Deliver perfect interview answers that make you stand out and get hired! 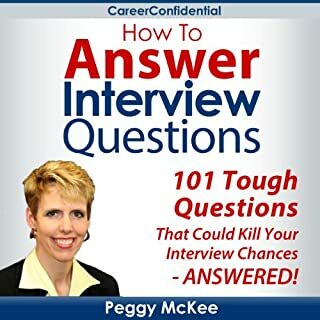 Join the tens of thousands of job seekers getting job offers because they learned Peggy McKee's secrets to powerful answers to the toughest interview questions. 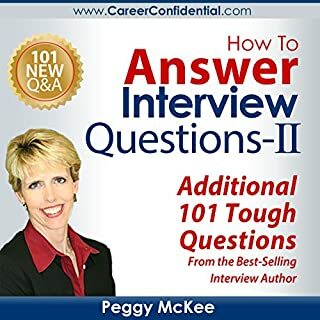 In this follow up to the incredibly popular How to Answer Interview Questions: 101 Tough Questions That Could Kill Your Interview Chances - Answered! you'll have the best answers to another 101 job interview questions. While your friends and family may give you advice with all their best intentions, the information that they provide may be inaccurate and confusing. In your gut, you know that acing a job interview takes more than just "being yourself". 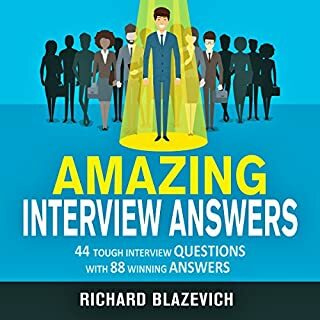 Sure, there are plenty of books out there that are filled with frequently asked interview questions and how to answer each question correctly. It's all well and good until you find yourself face-to-face with a question that the author failed to cover. What's the most powerful place you can be in as a job seeker? The most powerful place you can be as a job seeker is having someone the company knows and trusts marketing you for the job - that someone is a recruiter. Recruiters speed up your job search and open doors for your career you didn't even know existed. Having a recruiter on your side puts you at the front of the line for the plum jobs in your field. Peggy McKee and Carl Chapman, both long-time recruiters, tell you everything you need to know to find a recruiter and get them to market you for top jobs. 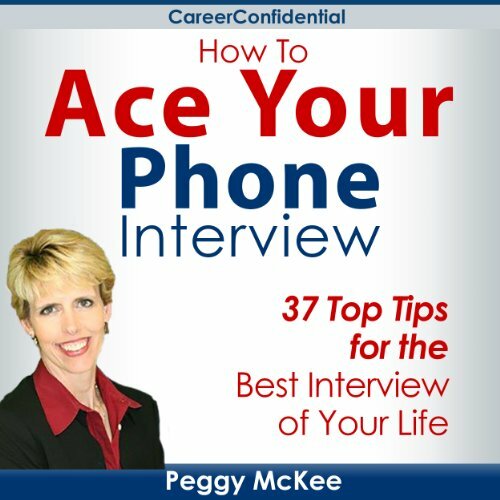 Can you ace every phone interview - and get invited to the face-to-face? What kinds of tips are in this book? Who this book is for: This book is for you if you want to slam-dunk every phone interview and get invited to the face-to-face. 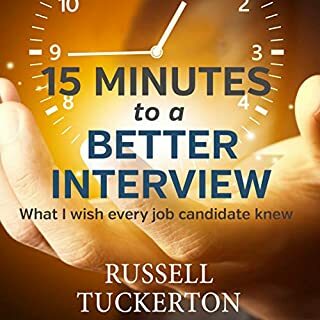 You will discover my best phone interview tips from 14 years of interviewing thousands of candidates (as a hiring manager and recruiter). Find out what hiring managers are really thinking about you. This is your key to phone interview success! 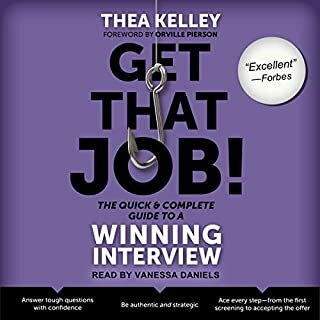 I learned a lot from listening to this book while walking and driving, it is concise but useful things to know for any job seekers. I found this to be extremely repetitive. could have finished in half the time if they didn't repeat everything. VERY repetitive. This could be cut down to 30 minutes total. 40 chapters could be cut down to 3. It's good stuff for first time phone interviews or good refreshers for those who haven't interviewed in a long time. I swear it says the same 37 things 10-12 times in different ways over and over and makes the read sooooooo long and is wasted time. At times i thought the pages had repeated in error. The speaker needs to do commercials or movie previews...not books. I have been through many phone interviews and wasn't very knowledgeable about them and always left wondering what I could have done for them in preparation beforehand. After this book my eyes are wide open and my checklist is ready. I believe I will be moving forward into the next step of landing a job. The headline for this review more or less sums things up. I would recommend listening to this in the day or so leading up to a phone interview. It is like a pep talk from an enthusiastic and informed friend. There is nothing particularly earth shattering in the recommendations but it is surprising how often they are not followed by prospective interviewees. If nothing else, it acts as a check-list that you are properly prepared. 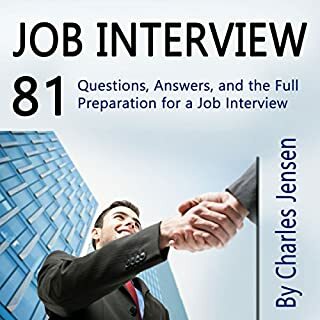 This is a short and simple book that covers the basic preparation steps and typical questions in a phone interview. It could have used some more sample answers for the difficult questions, such as "what salary are you expecting" (instead of trying to push off the question until they make a hiring decision or turning the question around and asking them what is the salary range for the job).